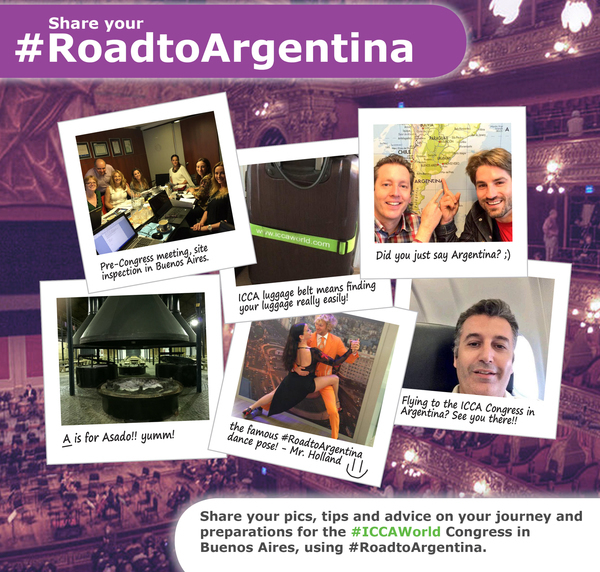 Use #RoadtoArgentina to share images, tips and advice during your journey and preparations for the #ICCAWorld Congress in Buenos Aires. We know lots of ICCA members have become great friends, or will make new friends, at the ICCA Congress. Remember the moments with your ICCA Friends at the Congress by taking a group picture and share it using hashtag #ICCAFriends. You could use an infamous “selfie stick”, so even more ICCA Friends fit in the picture! Post it on Twitter or Instagram using hashtag #ICCAFriends (and #ICCAWorld) or on the ICCA Congress event page on Facebook. 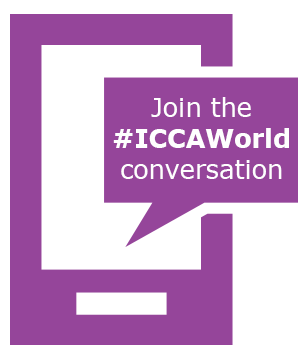 Like the ICCAWorld Facebook page and share your pictures and videos by tagging the “ICCAWorld” page in your post. Join the "54th ICCA Congress" event page on Facebook to stay up date with the latest practical event updates. Join the discussion and get advice from the experts in the official ICCA member-only LinkedIn group and follow the ICCA company page on LinkedIn.